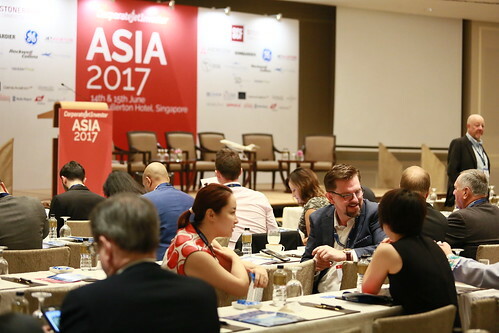 More than 150 industry leaders are in Singapore for day two of Corporate Jet Investor Asia 2017. Much of the discussion on day one centred on infrastructure – airport and air traffic – constraints in the region. With many delegates concerned that airlines are pushing business aircraft out of airports. The International Air Transport Association (IATA) forecasts routes to, from and within Asia-Pacific will see an extra 1.8 billion annual passengers by 2035, for an overall market size of 3.1 billion. Its annual average growth rate will be 4.7%. With business aircraft users already restricted at key airports serving Hong Kong, Beijing and Bangkok, many speakers are concerned that access issues will only get worse. Topics being covered today include aircraft sales, business jet finance, connectivity, aircraft values and opportunities in southeast Asia. Please click through the gallery below to see pictures from the first day of the conference.